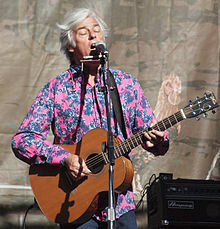 Robyn Rowan Hitchcock (born 3 March 1953) is an English singer-songwriter and guitarist. While primarily a vocalist and guitarist, he also plays harmonica, piano, and bass guitar. I Wanna Go Backwards CD booklet (Chapel Hill, NC: Yep Roc Records, 2007) p. 4.